Hi, my name is Eveline and I am your brow guru, let me tell you few words about myself and my experience. I was originally trained in the USA and unfortunately that training was a 1 day scam. After that I decided to push my skills and get the training in this field from the best artists in the world; in Europe, Russia, Asia etc, I am now a proud artist, who’s work is recognized both nationally and internationally. I am licensed and insured, and we use only sterile, fully disposable tools. My results last for a long time, but they are still semi-permanent. I put my heart and my soul into the process of creating your perfect unique beautiful brows! Microblading is a revolutionary and hand crafted semi-permanent tattoo-like technology that uses a disposable tool with superfine sterile needles (microblade) dipped in pigment to create the illusion of the hair strokes. I do draw a unique hairstrokes design to compliment your face features. This procedure allows reconstructing based on golden ratio proportions brows or patchy brows or total alopecia brows into perfect always in fashion arches, almost undetectable. On average, the result lasts 12-24 months, fades gradually and is totally transforming your life by skipping endless morning routine for creating even brows into 1 minute brow pencil work ! 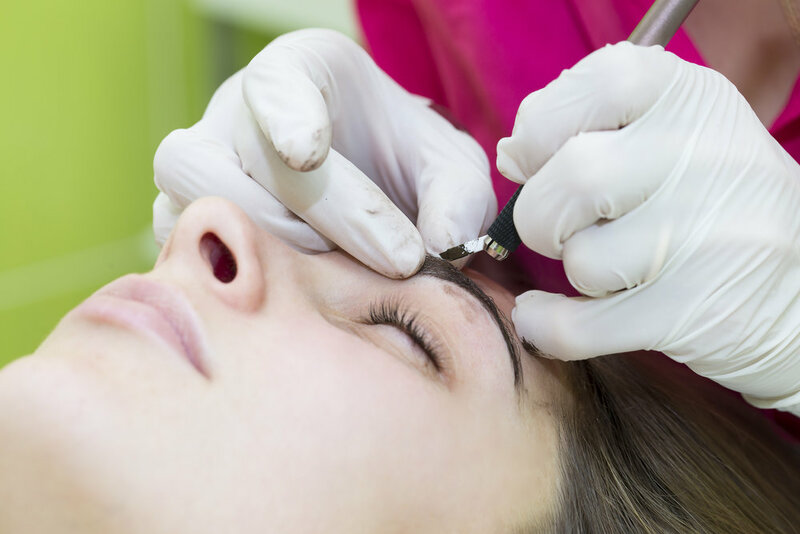 Semi-permanent makeup is an ART and depending on many factors clients’ results may vary. While generally the result is awesome and retention is great, there is no guarantee that each client will benefit from this procedure. It is important for you to understand that I will do my best to create Gorgeous symmetrical brows, but it is up to the client’s skin to retain it or not. Results of this incredible treatment will depend on the client’s skin type, texture, maturity and oiliness, exposure to the sun, hormones, etc. Microblading is extremely natural looking corrective paramedic procedure and on dark haired clients it might look lighter than their natural hair color. In this case it could look like the client needs a touch-up while s/he actually may not need it. Microblading does not replace the need to use brow products but it gives u the perfect shape to fill in and enjoy all the time!